Another impressive colorway added to the already-long list of Air Jordan 2011 releases. The Air Jordan 2011 colorway bank seems to grow with each day and here's another new look you can expect to see at stores later this year. This pair features a Tech Grey nubuck upper and hand-crafted leather overlay. 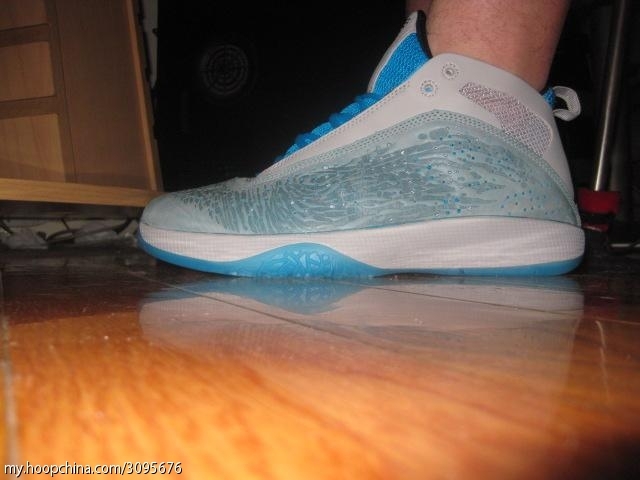 Blue tones also appear between the grooves on the mudguard, as well as the tongue and translucent outsole. Black is subtly used on the shoe's inner lining. We'll update you with new information about this release as it becomes available here at Sole Collector.